Ollisdale - just popped in for lunch. This was an A to B route with parking at Orbost and Neist. 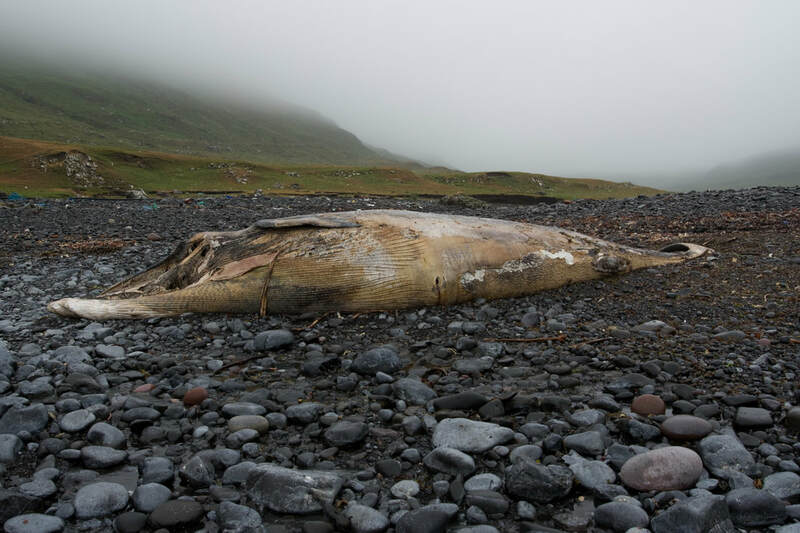 Parking at Ramasaig makes the walk a little shorter! 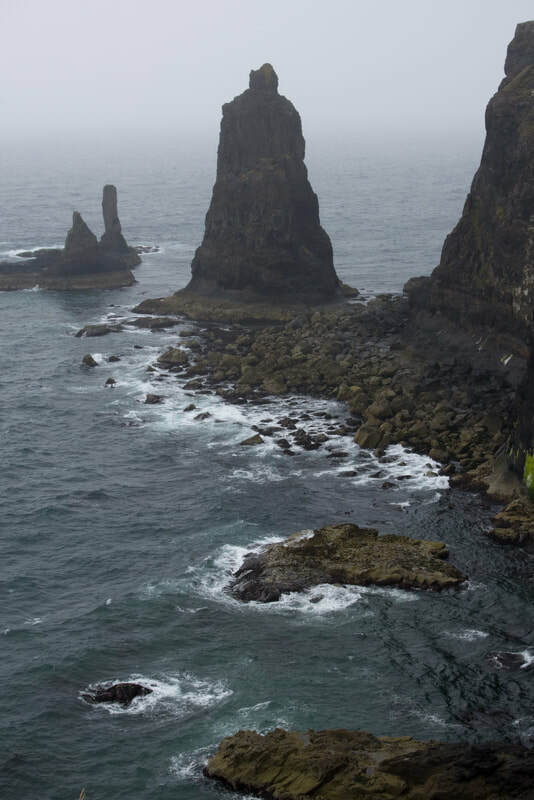 My first trip to Skye since 2008. This coastal walk was done as part of the 2018 Walkhighlands Summer Meet, based at Portnalong. I tagged along with Allan and Malcolm, for what Malcolm described as an easy 20km coastal walk along cliff tops on short grass. 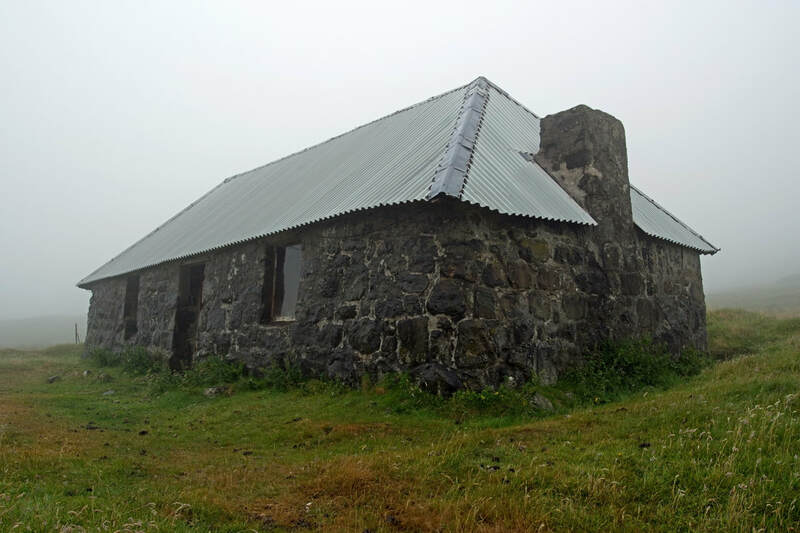 In fact it was almost 30km, with over 1000m of ascent, through mostly long vegetation, in wet and windy weather! For most of it we could not even see the sea! 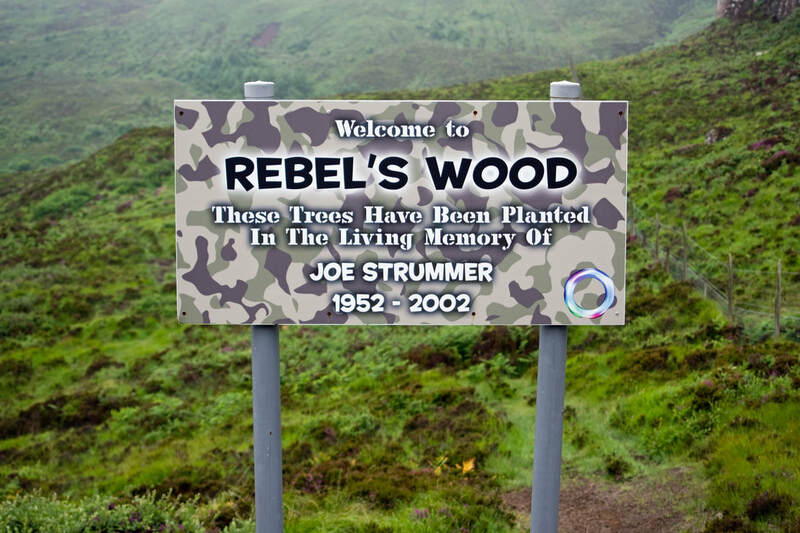 The points of interest were Rebel Wood with deciduous trees planted in "Living Memory" of Joe Strummer, Ollisdale bothy and a dead (Common Minke?) 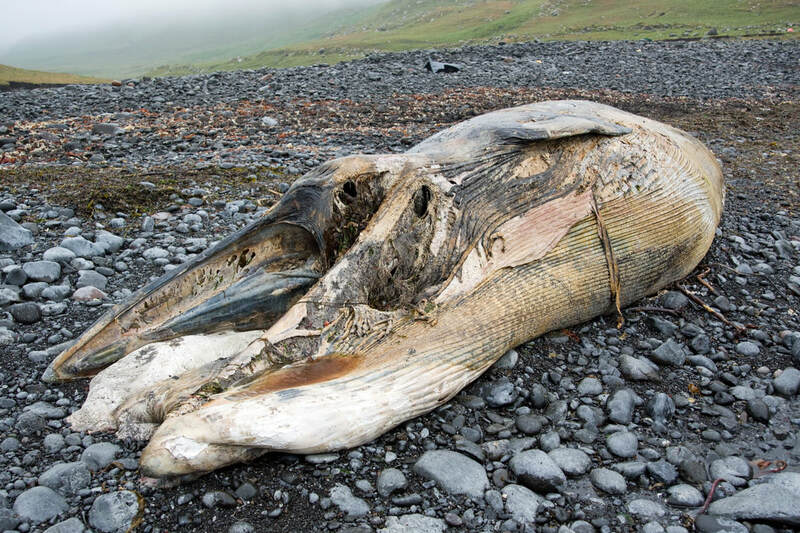 whale. Cars were left at each end, with Alan racing ahead with the keys to Malcolm's car, to drive and meet us on the road. With many months working away from the hills, I was not fully mountain fit and I was still recovering from a sprained ankle from the previous Saturday. I think this walk would be better done over a more leisurely two days with an overnight at Ollisdale bothy. 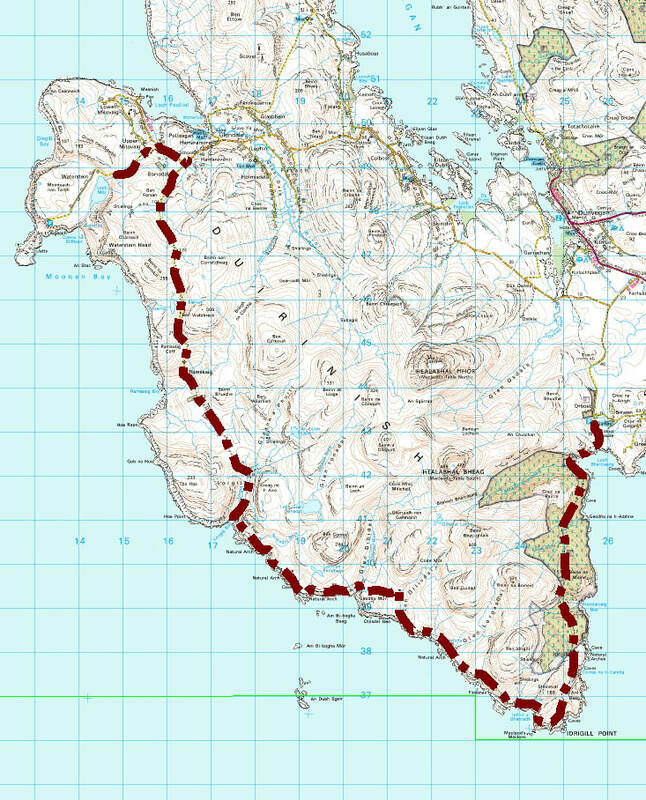 Alternatively, starting from Orbost, traverse Healabhal Bheag (higher of Macleod's Tables), stay in the bothy and the next day follow the coastal route back to Orbost.